Organized in 1925 as a Ukrainian Orthodox Community dedicated to St. Andrew the Firstcalled Apostle, the Cathedral of St. Vladimir continues to proclaim the Gospel of Christ for the spiritual benefit of parish family members from Eastern and Western Ukraine and generations born in America. Chartered on April 26, 1928 as St. Vladimir Ukrainian Orthodox Church in Philadelphia, the community became the Episcopal See of the first Ukrainian Orthodox Bishop of the USA, His Beatitude Metropolitan-Archbishop John Theodorovich. In 1930 an edifice was purchased at the corner of Germantown Avenue and Berks Street. In addition to a residence, the Print Shop "Dnipro," a parish based Credit Union and a viable Diocesan Seminary were a part of the original complex. Of the thirteen priests who served the Cathedral parish family, Rt. Rev. 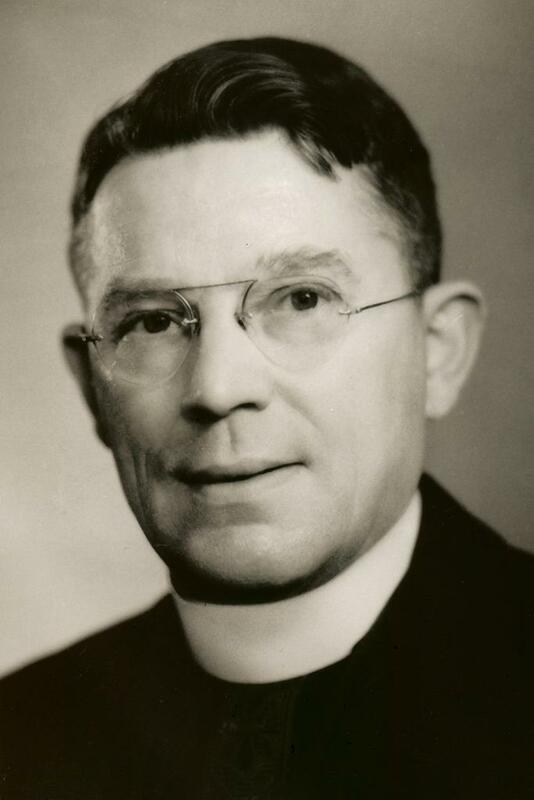 Protopresbyter John Sawchuk served the longest and was instrumental in forming the "Dnipro" printing department and assisting in the Diocesan Seminary Program at the Cathedral. Changing demographics necessitated steps to relocate the Cathedral See. In 1965, Metropolitan John consecrated property purchased for the new complex at the corner of North Fifth and Independence Streets. Construction began on November 1, 1965 by the DeLoro Construction Firm. Mr. Joseph Podgursk supervised the construction of the Neo-Byzantine Style edifice designed by Nick Chimes. Completed in July, 1966, the new edifice was consecrated on September 11, 1966 by Metropolitan John Theodorovich, assisted by Bishop Alexander (Novitsky), Cathedral Vicar Rt. Rev. 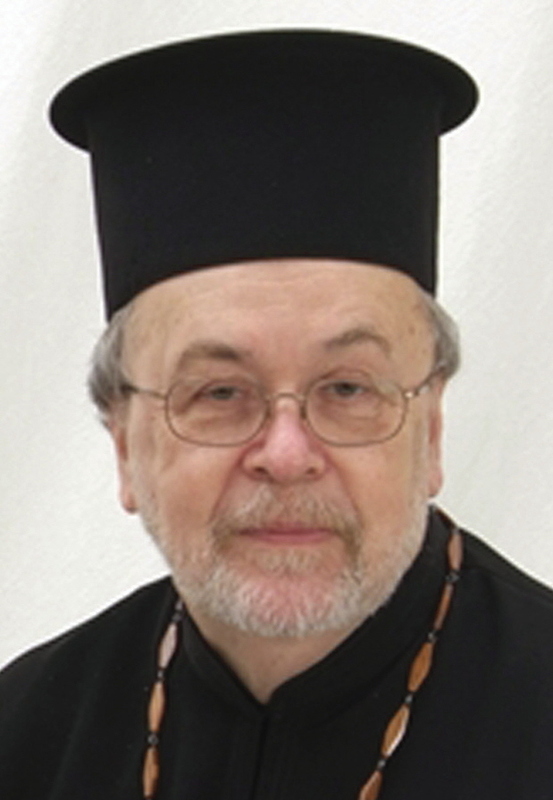 Protopresbyter John Sawchuk, Fr. Stephen Bilak and local clergy. With the falling asleep in the Lord of Metropolitan John on May 3, 1971, Archbishop and Consistory President Mstyslav (Skrypnyk), succeeded to the office of Metropolitan and was enthroned in solemn ceremonies on May 7, 1972; on the same day, Archimandrite Constantine (Theodore Buggan) was ordained to the Episcopacy by the newly-enthroned Metropolitan Mstyslav and Bishop Mark (Hundiak). With the collapse of the Soviet Union in 1989 and the subsequent liberation of Ukraine, the Ukrainian Orthodox Church in Ukraine was reborn. Elected to the office of first Patriarch of Kyiv and All Ukraine on June 5, 1990 was the most senior Bishop and Metropolitan of the USA and Diaspora-based Ukrainian Orthodox Church, Mstyslav (Skrypnyk). Enthroned on November 22, 1991 in St. Sophia Cathedral, Kyiv, Ukraine, Patriarch Mstyslav embarked upon unifying the Church in Ukraine and gaining worldwide Canonical recognition. After the falling asleep of Patriarch Mystyslav on June 11, 1993, Archbishop Constantine succeeded to office of Archpastor of the Ukrainian Orthodox Church of the USA. Ratification of Metropolitan Constantine's accession to the Prime See of the Archdiocese took place on October 15th at solemn post-Sobor services, celebrated at the Church Center in South Bound Brook, NJ. The church body in Ukraine split into two jurisdictions, each having its own Patriarchal Head, a situation which exists to this day. Responding to desires often voiced by Metropolitans Theodorovich and Mstyslav, and mindful of the once authentic relationship of the Kyivan Metropolitan with the Mother Church of Constantinople, the Hierarchs of the USA and Diaspora Church, having the consent of the Metropolitan Council, gained "de jure" canonical recognition by the Ecumenical Orthodox Church on March 12, 1995 in solemnities celebrated in Constantinople by His All Holiness, Patriarch Bartholomaios I. This status was reaffirmed at the 14th and 15th Triennial Sobors of the UOC, USA held in South Bound Brook, NJ.